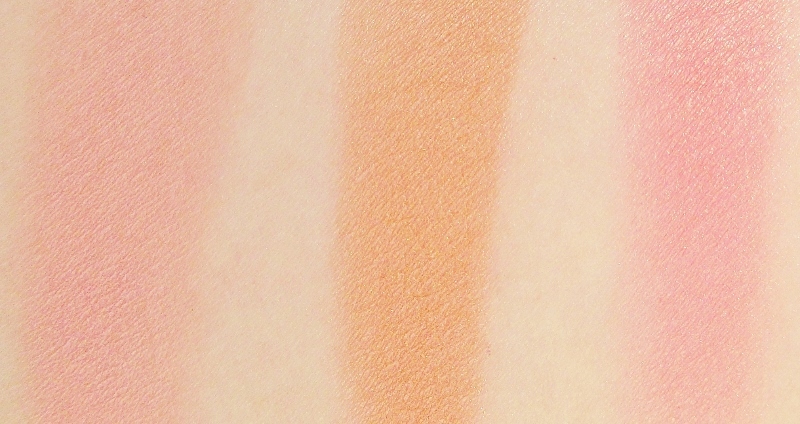 One of the items I purchased during the recent Sephora sale is the Becca Blushed with Light Blush Palette. 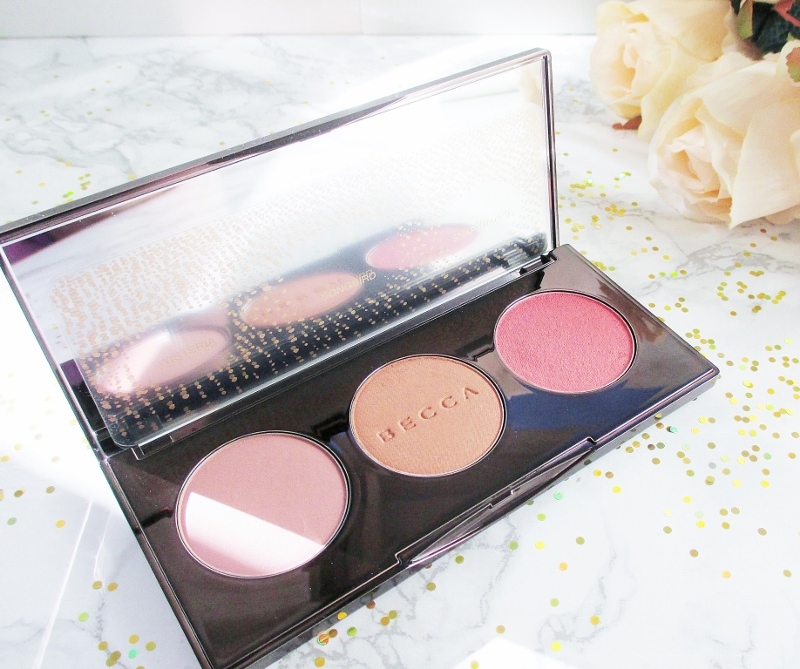 I love Becca's blushes so to get a trio of them in one palette made me very happy. 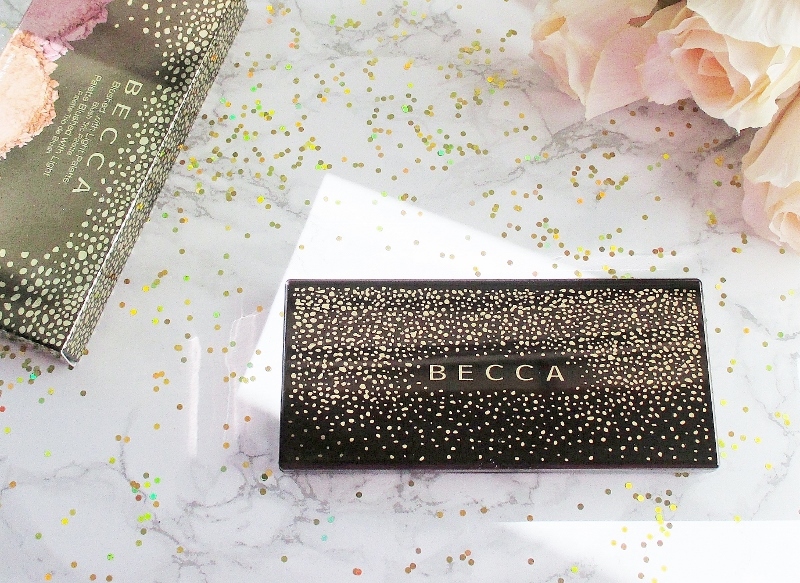 This limited edition holiday palette is a sleek, reflective rectangle in Becca's signature greyed brown and decorated with gold splotches that resemble falling snow and the brand logo. I love how this palette looks and feels in my hand but it was the very devil on horseback to photograph! Inside is a mirror that is big enough to adore your features. There is one of those stupid plastic slip covers in the palette but I was able to toss mine because joy of joys, the shade names are printed on the back of the palette. Three dainty sized (but plenty big enough for my blush brush) blushes inhabit the space below. There are two Mineral Blushes in Wisteria, a soft lilac pink and Songbird, a golden coral and one Shimmering Skin Perfector Luminous Blush in Snapdragon, my dream coral pink with a beautiful, radiant sheen. 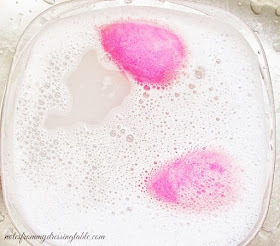 I have a full size of Snapdragon but, since it's one of my favorite blushes, like, ever... I don't object to having a little backup. Here is some swatch action. Wisteria, Songbird and Snapdragon. Becca blushes are very soft, velvety smooth and highly pigmented. I like to apply them with a less dense, very flexible, soft brush. A gentle touch down, tap off the excess and feather and blend into the skin until I get the desired light, lit from within flush I prefer. Did I need this palette? No, not really but I knew the moment that I first saw it that I wanted it and it was available when I was sale hauling so I grabbed it and I'm happy that I did. Sadly, this pretty palette seems to now be sold out online but if you do a little hunting in your local Sephora or Ulta stores, I'll bet that you can still luck across one. Try stores in more out of the way locations and smaller municipalities, they often have goodies that are snapped up in areas that are more heavily trafficked. That is how I manage score pretties that aren't to be found, anywhere else. Did you buy this palette? 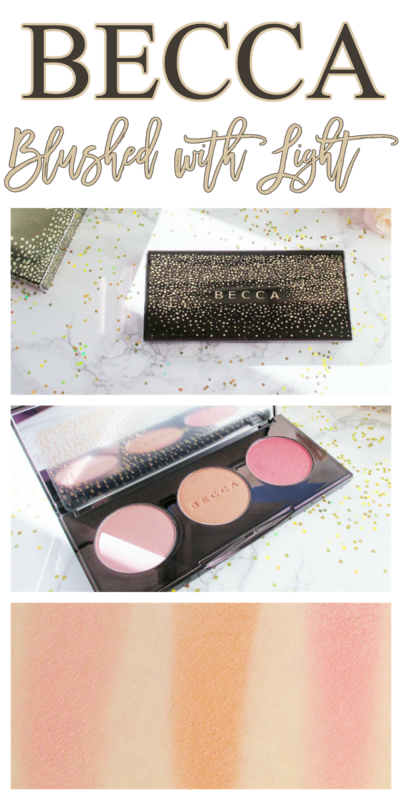 Are you as much a fan of Becca blushes as I am? 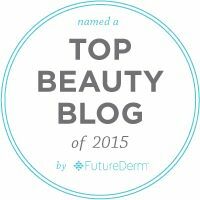 What are your favorite shades?